Our experienced staff is here to find the perfect finance options for you. Your vehicle deserves the skilled maintenance of certified professionals. Get the instant value of your vehicle online with our helpful tool. What makes Moss worth your time? Our used car dealership in Lafayette, Louisiana enjoys a fully stocked inventory of pre-owned vehicles for sale, so don't hesitate to get your search started. Moss Motors Pre-Owned boasts an on-site finance department that employs credit professionals who are eager to assist with your auto loan needs. Our used car dealership has made many resources available online to help you get your pre-owned vehicle search started, so take time to explore our website today! 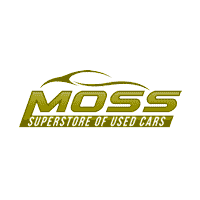 Moss Superstore looks forward to assisting drivers in the Lafayette, New Iberia, and Opelousas area with their used car search, so don’t hesitate to visit our conveniently located dealership today! Our inventory endures a rigorous inspection process so that our Moss Superstore team can attest to the quality, safety, and comfort of the vehicle. We have a fully stocked inventory of cars to explore, from a range of automotive brands, so contact us to get started on your personalized shopping experience! Our used car dealership in Lafayette, LA treats customers to a complete car shopping plan. We’ll not only present you with stylish pre-owned Jeep, Toyota or Nissan models that complement your search requirements, but we’ll also help you explore the financing options that are available to you, even if you hold a less than perfect credit score! So what are you waiting for, visit Moss Superstore for the high level of customer service that you deserve!